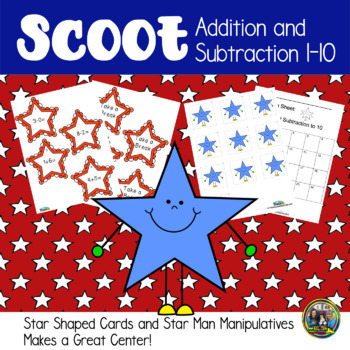 This great 4th of July Math Scoot game is a fun math game that incorporates addition and subtraction with answers from 1-10 and has fun star shaped task cards. 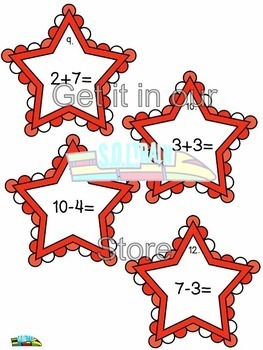 Your kids can shoot through these math facts with cute star people manipulatives. 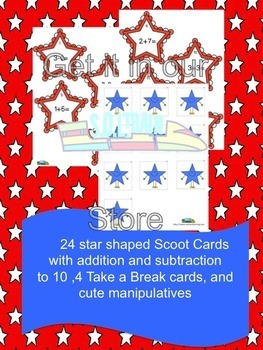 It makes a great 4th of July math center! 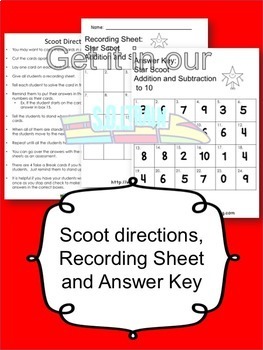 This math game is a great way to get your kiddos up and moving!